Are dry hands your nemesis right now? 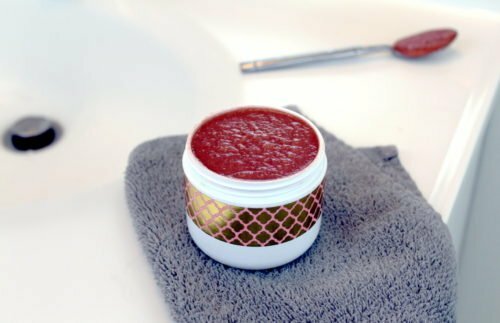 Take charge of your skin’s health with this rose skin softening hand scrub recipe! How many times a day do you wash your hands? When I think about how many times I wash my hands daily, I’m kind of floored. It’s no wonder that my hands dry out so easily. 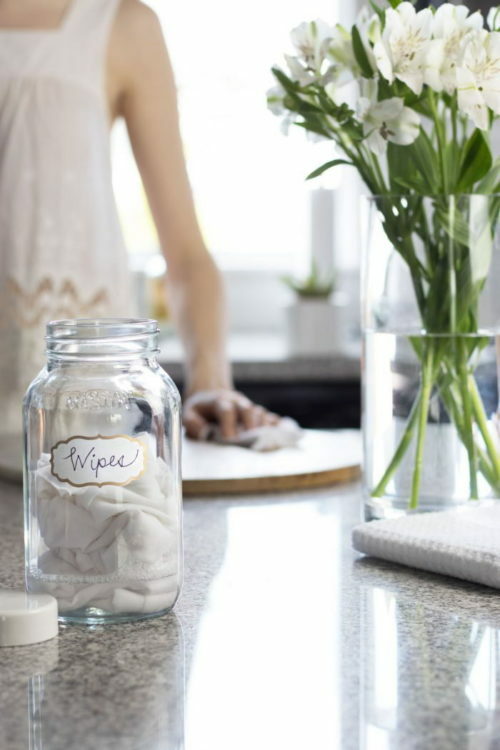 Every trip to the restroom, whenever I cook or engage in a new creative project – I was my hands afterwards. 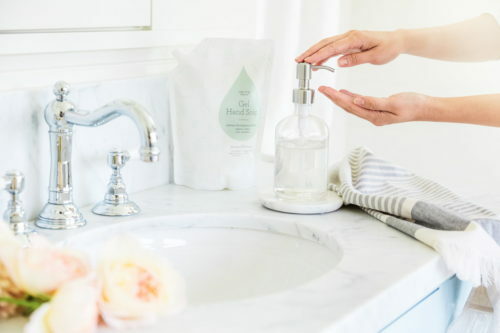 And let’s face it, even the most moisturizing soap in the world can still dry out your hands with repeated use – especially in the winter. Which got me thinking. 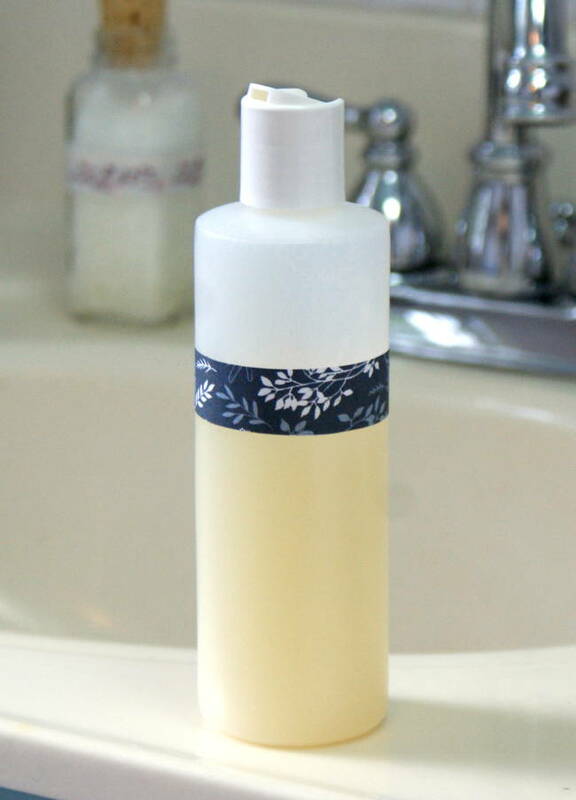 If my hand soap is contributing to my dry hands, why am I still using the same ordinary hand soap to wash them? 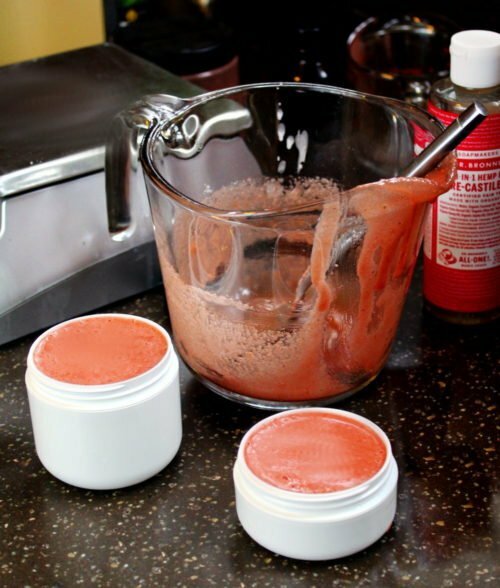 My rose skin softening hand scrub recipe is my solution for hands that look and feel healthier. 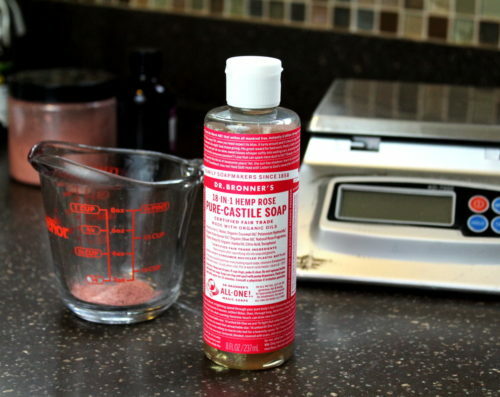 Working with Dr. Bronner’s Rose Castile Liquid Soap as a base for my hand scrub, I then added a variety of natural ingredients to hydrate skin and promote skin health. One of these ingredients is tamanu oil. Referred to as a remarkable skin regenerator, tamanu oil is easily absorbed by skin and is rich in moisturizing omega fatty acids. Its antioxidant properties can help to stem aging and prevent sun damage. When used in skin care applications, tamanu oil has antimicrobial, antibacterial and anti-inflammatory properties that help to speed up healing. 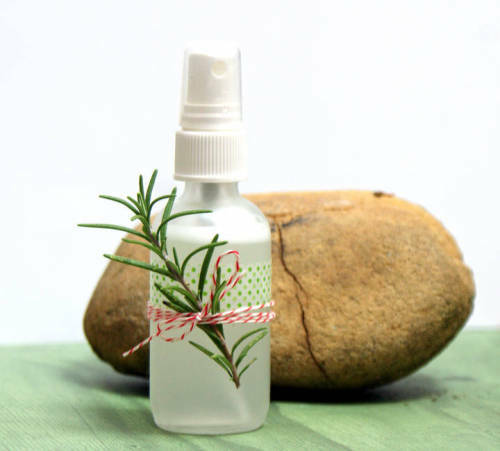 Additionally, this golden green carrier oil is incredibly effective at soothing dry skin as well as clearing up rashes. Used solo, it even makes a wonderful anti-aging eye serum. Explore some of my anti-aging skin care recipes here. In addition to the tamanu oil, I also used lanolin to help lock in moisture and protect hands from further damage. Shea nut oil is also included in my skin softening hand scrub recipe for its moisturizing properties while sugar exfoliates and sloughs off dead skin cells. Begin by weighing out the lanolin and emulsifying wax using a digital scale. Place inside a medium glass mixing bowl or Pyrex measuring cup and heat in the microwave at 50% power until melted. Allow to cool slightly. Tip: For extra dry hands or cracked skin, double the amount of lanolin called for in my skin softening hand scrub recipe! Next, weigh the shea nut oil, tamanu oil, cyclomethicone and liquid soap. Combine with the melted wax and lanolin and stir gently to combine. Follow with a few drops of rose absolute to suit. In a separate container weigh out the sugar and the clay. Then pour the sugar into the liquid ingredients and mix well. 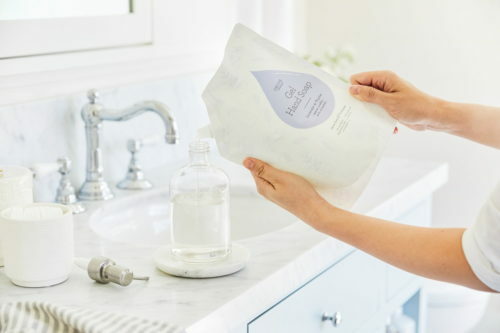 Shop bath & beauty products up to 50% off retail at Thrive Market! To use, scoop out desired amount from the container then wash hands as normal. 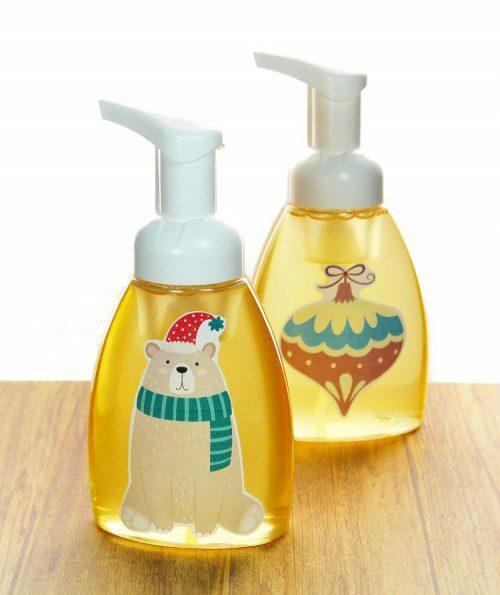 Follow with your favorite hand cream or lotion. 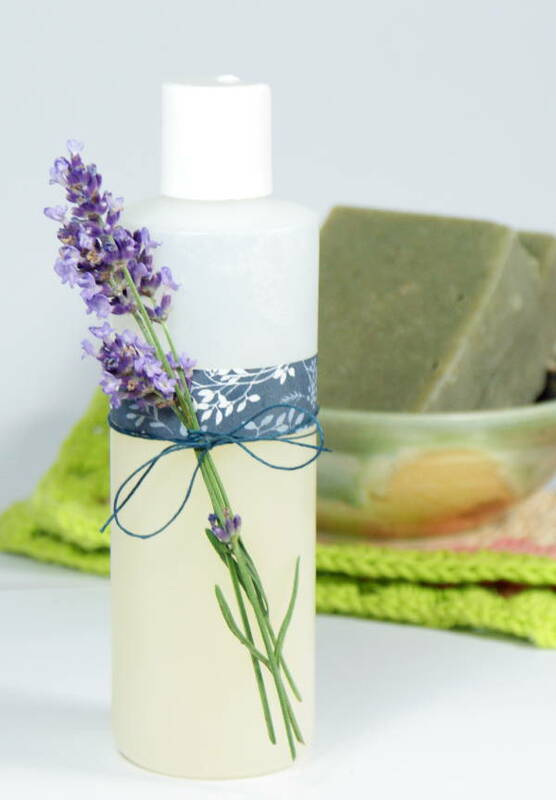 Or try my soothing moisture whip recipe for dry skin! 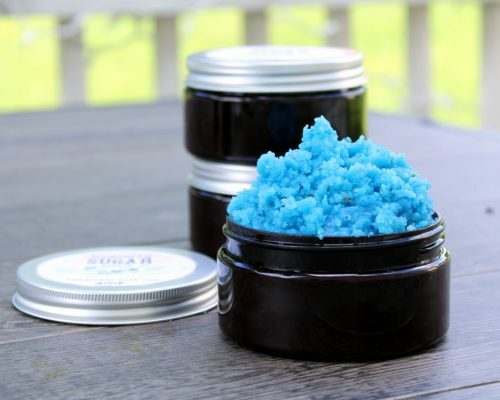 If you like my skin softening hand scrub recipe, then you may also enjoy some of my other body scrub recipes. Here are some of my favorites! Don’t miss out on new posts from Soap Deli News! You can follow me across all of your favorite social media platforms for updates on new posts plus other great information from around the web! 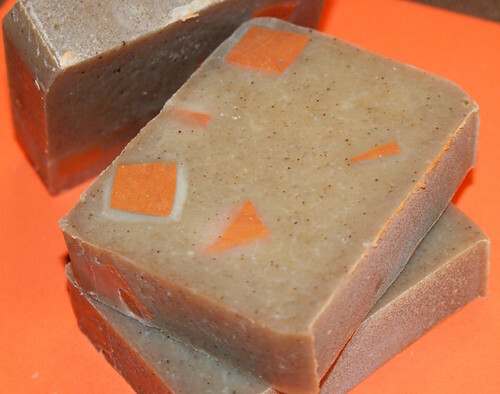 Here’s a simple melt and pour soap recipe for making your own Pumpkin Souffle Hand Soap. This would make a fun gift for your little tricksters. Cut the melt and pour soap into chunks and put in the microwave in 30 second increments until melted. Add oil of clove, pumpkin souffle fragrance oil, ground cinnamon and food color. Stir well. Pour into molds and allow to set. You can hurry up this process by popping the molds briefly in the freezer. Unmold, then wrap the finished soap in cellophane or plastic wrap and decorate with a cinnamon stick and raffia. 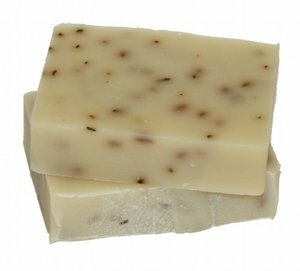 This handmade soap recipe is great for using in the kitchen to rid hands of stinky garlic or onion smells. Instructions: Follow basic soap-making instructions. 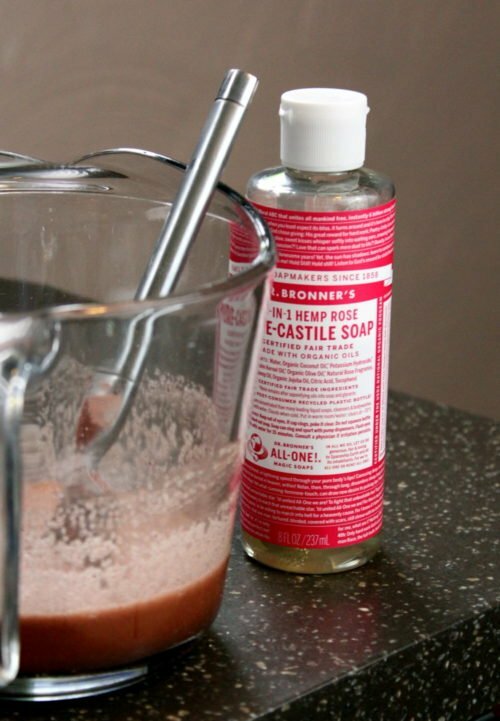 Measure water and add lye to the water. Safety glasses and rubber gloves are a must. Allow this to cool to 100 degrees F. Measure out oils, reserving 1/2 ounce of the sweet almond oil. Set the sweet almond oil to the side. Gently heat oils together. Add the essential oil to the reserved 1/2 ounce sweet almond oil. When the oils have cooled to 100 degrees F then slowly add the lye solution to the oils, stirring constantly. Of course you have your safety glasses on and your rubber gloves! Stir mixture until it traces, which means it has thicken and you can run a line of mix across the top of the solution and it stays. This will remind you of pudding. Now quickly add the sweet almond oil with the essential oil in it. Add the rosemary, dill, and coffee grounds. Pour into your mold and cover with a towel to keep heat in. In 24 hours you will have soap. Un-mold and let cure for 3 weeks. Makes six bars. Caution: Lye is very dangerous and so is the raw soap. Keep children and animals away while you make soap. Store lye out of reach of children and animals. 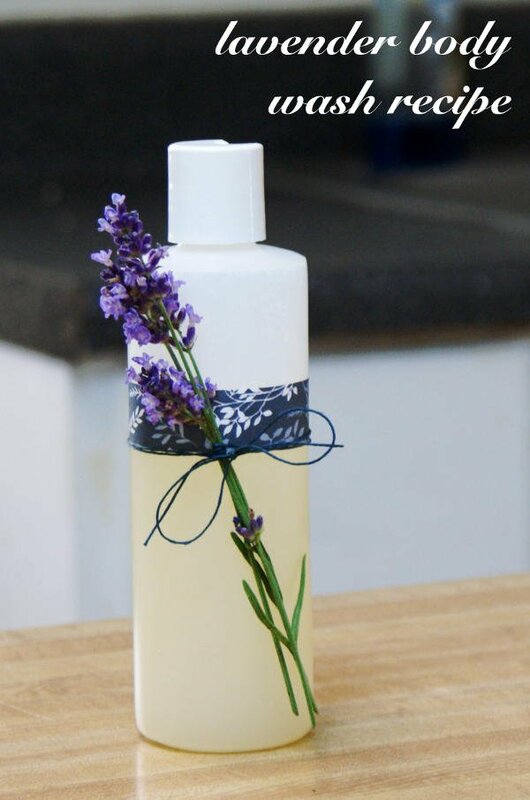 Visit Glenbrook Farms for Organic Herbs, 100% Pure Therapeutic Grade Essential Oils, and soapmaking supplies.